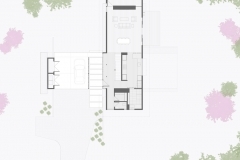 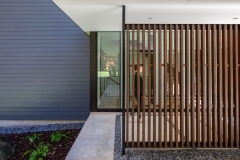 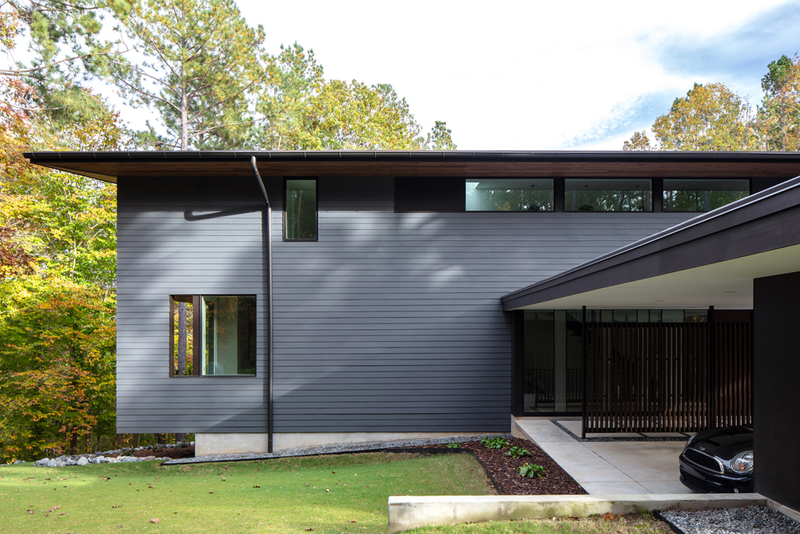 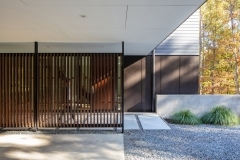 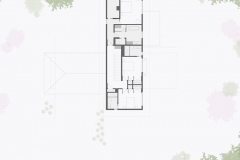 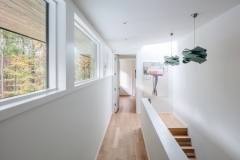 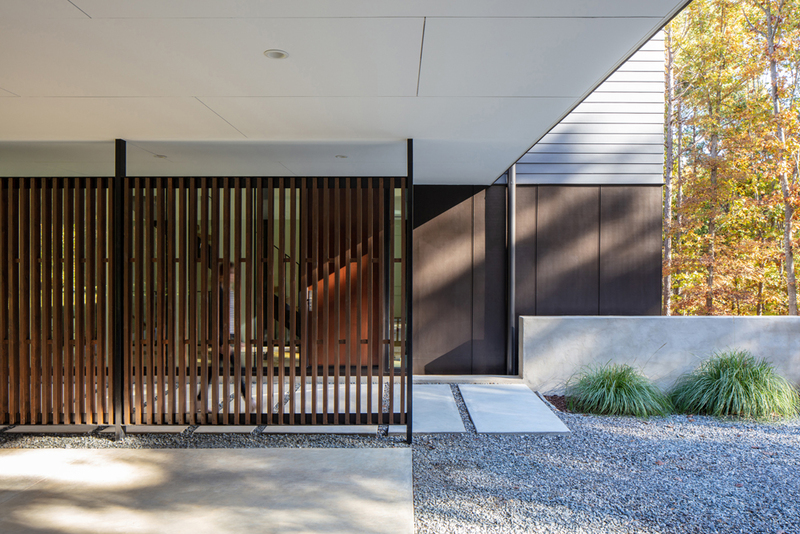 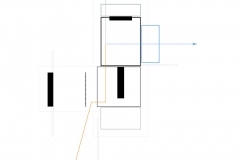 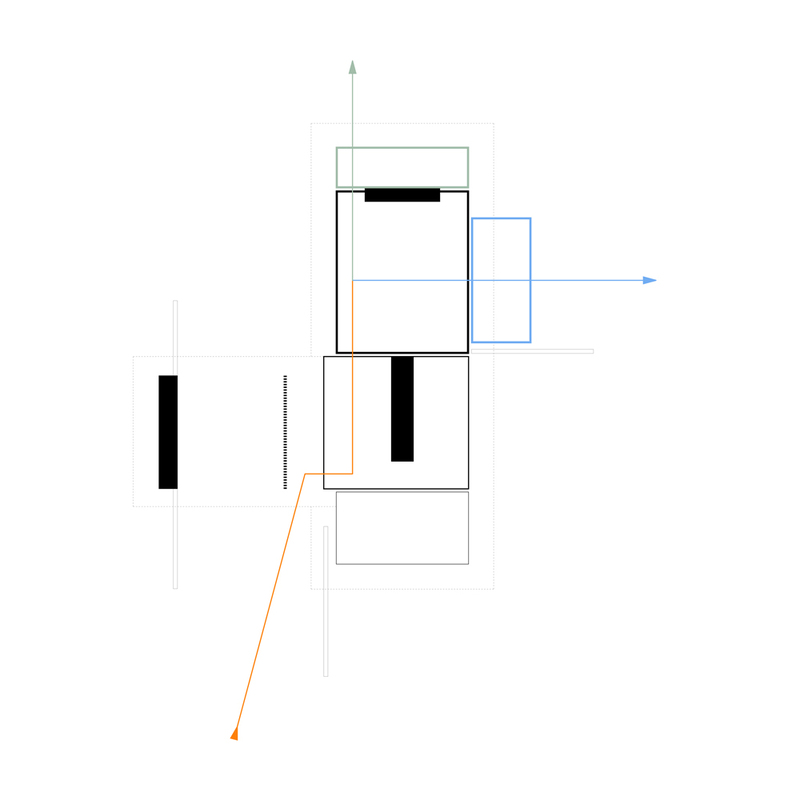 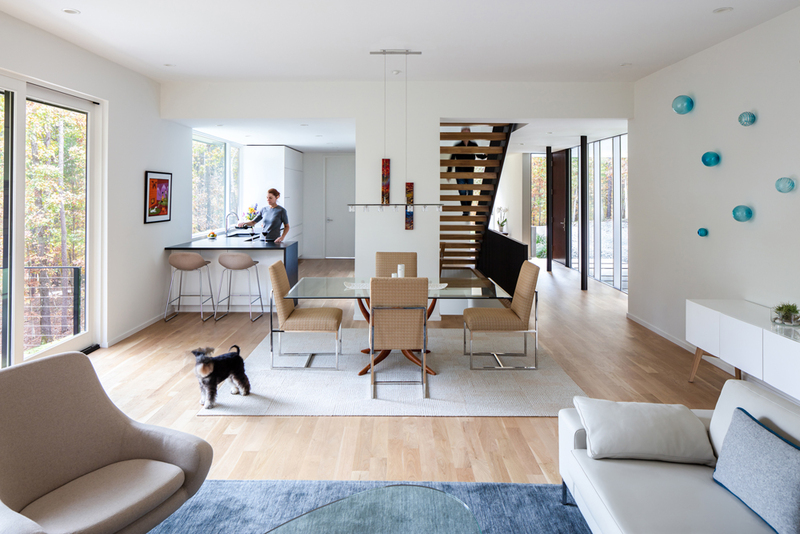 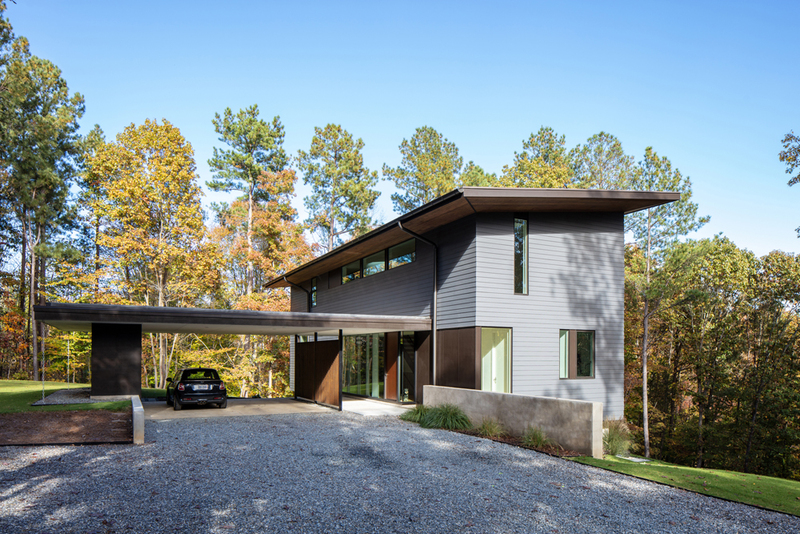 The Merkel Cooper Residence by in situ studio is designed first to conceal and then to reveal. 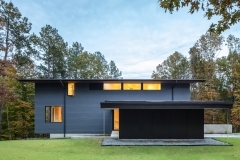 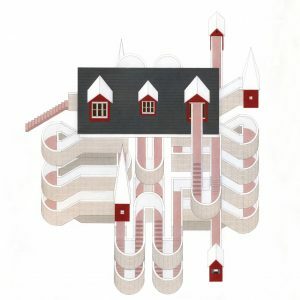 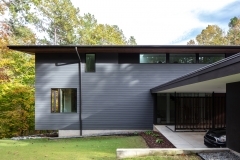 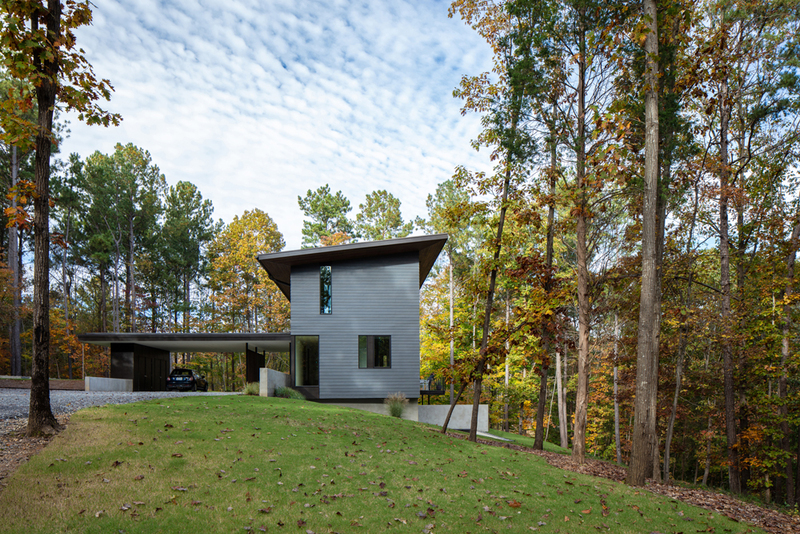 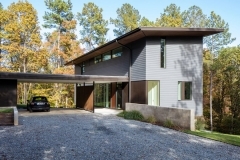 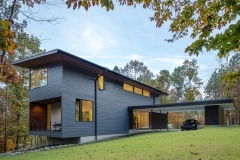 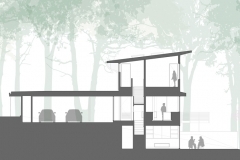 The architects from Raleigh nestled the home into a hillside 100 feet up, to preside over a lake view outside Charlotte. 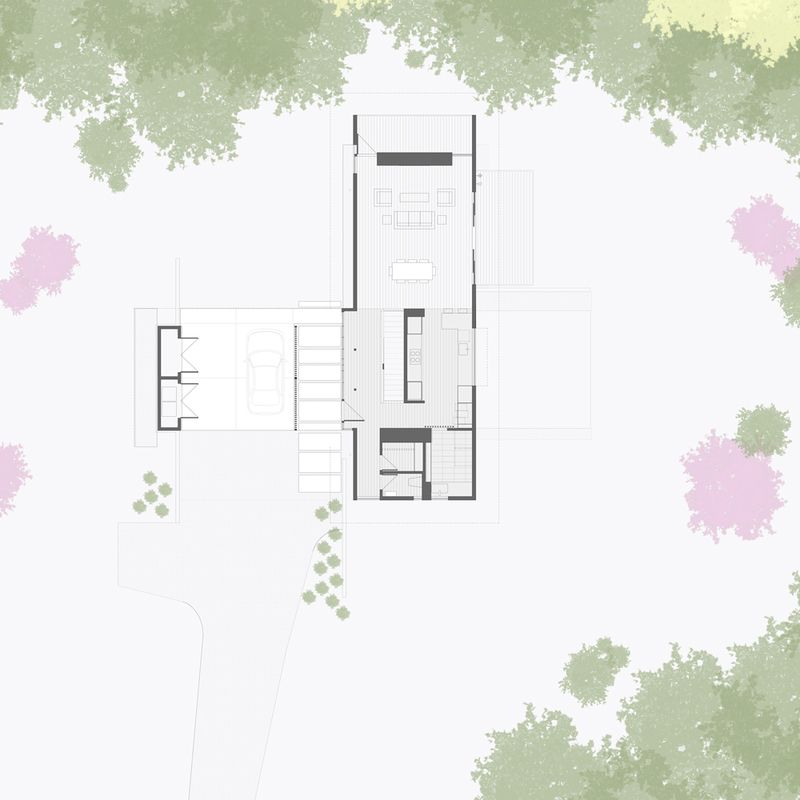 Its second vista is down to a valley and forest of beech trees. The main goals were to choreograph the experience of bringing people up the hill into the house – and then unveil the views. 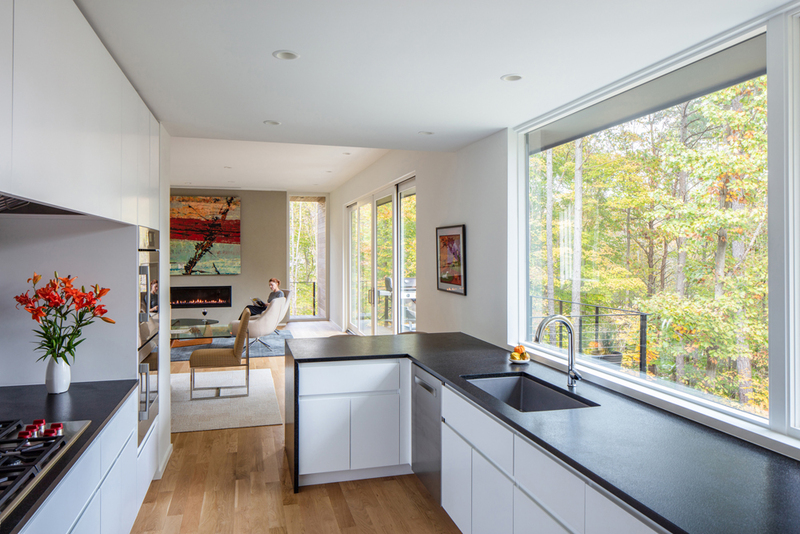 “You look to the lake on the east and the forest on the north,” says Matt Griffith, in situ’s co-founder. 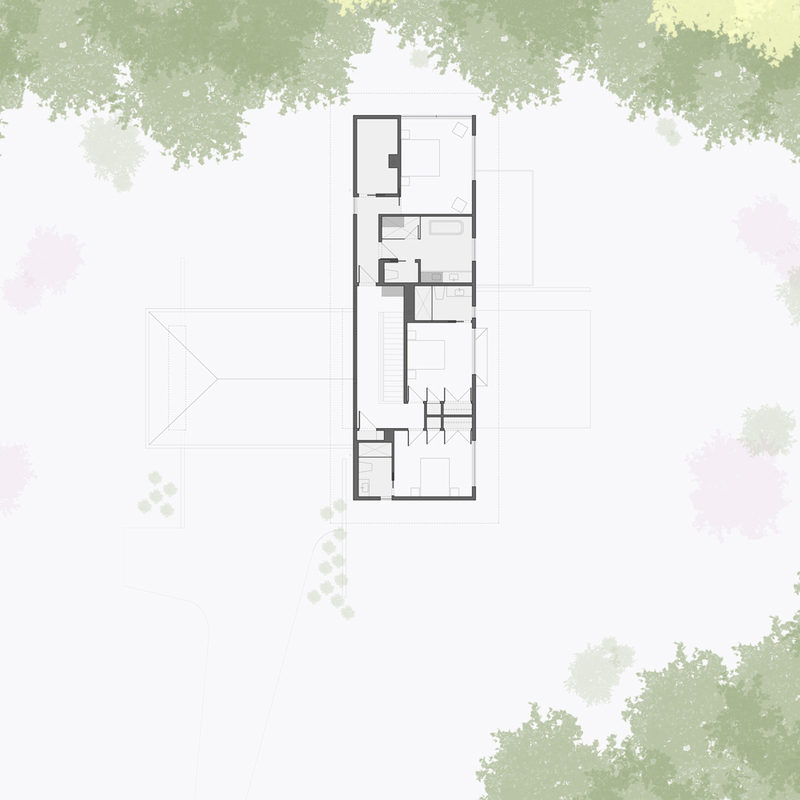 You’d never know it on approach from the south, though. Before their clients purchased their 10-acre lot, they looked to their potential architects for counsel. “Our first assignment for was to go down there and look at the property and confirm it was a good enough piece of land for them to close on,” he says. 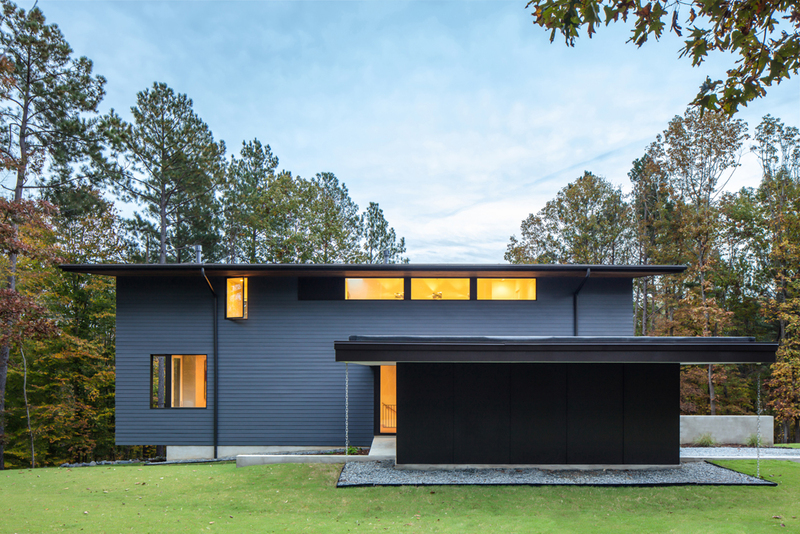 But that entrance is also a portal – to a lush Carolina landscape.